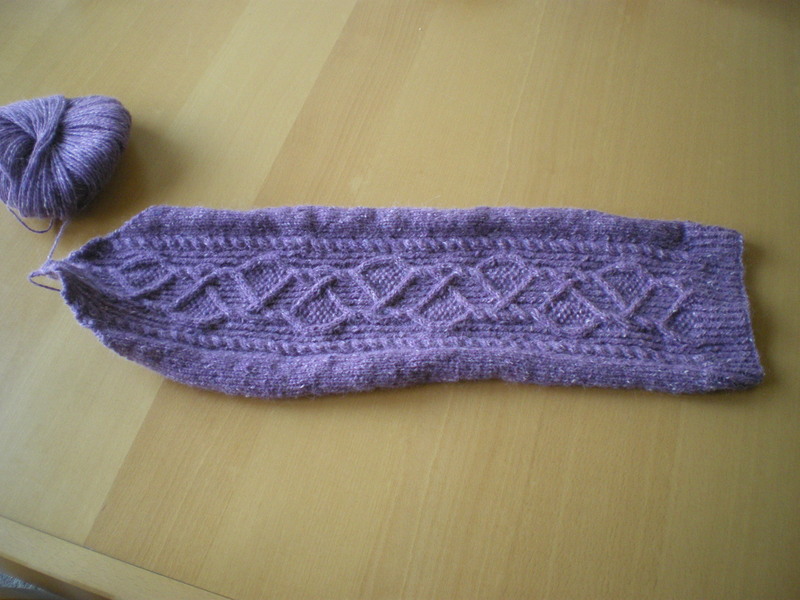 Finished Object Saturday… Getting there? So maybe next time will be posted on Friday? I actually managed to knit the entire cozy (including a gauge swatch!!!) in one day. Actually, I cheated a little on the swatch- the swatch is doubling up as the bit that holds the bow in place, so yay for double duty! 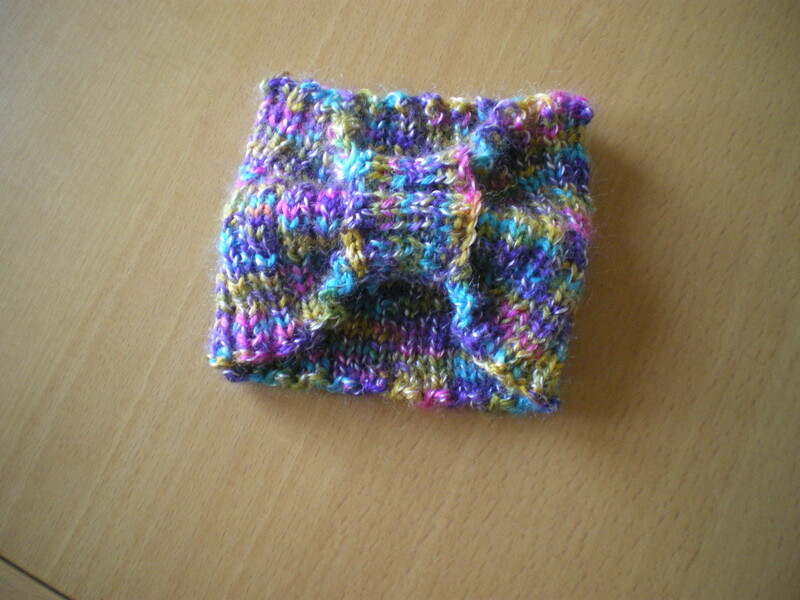 This was knit in DK yarn (no idea on needle size, other than ‘quite small’) flat, and seamed afterwards. The seam is then hidden in the bow bit. Well, that’s all I’ve been working on so far. I’m planning on starting something for a swap, so there won’t be any photos of that while it’s going on *waves to squarebird*.